Would you like more time for what you enjoy? 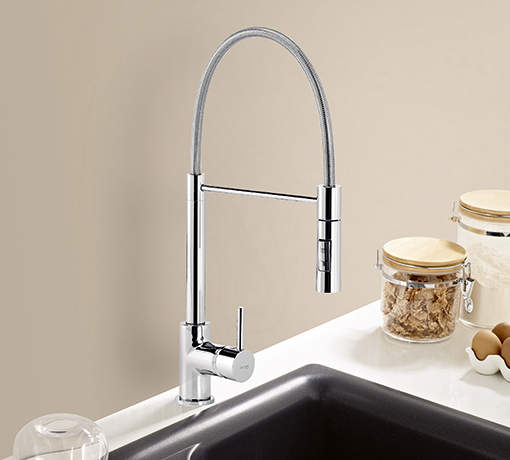 With a flexible spout – that gets to the hard spots that other taps can’t reach – and a 2-function shower, TUBE Tech will give you back the time that you now waste cleaning your kitchen. By simply pressing a button, its standard stream spray transforms into a powerful jet of water that will make the kitchen clean up a breeze.